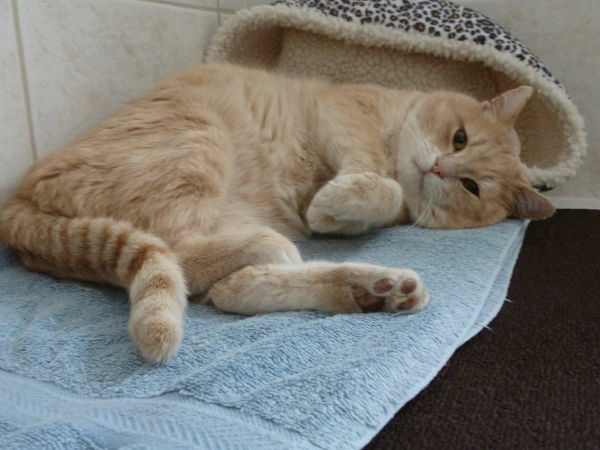 On November 25 , 2013, I trapped the stray buff tabby who I’d been feeding for 2 years – his story is in the archives of this blog beginning on November 9, 2013. 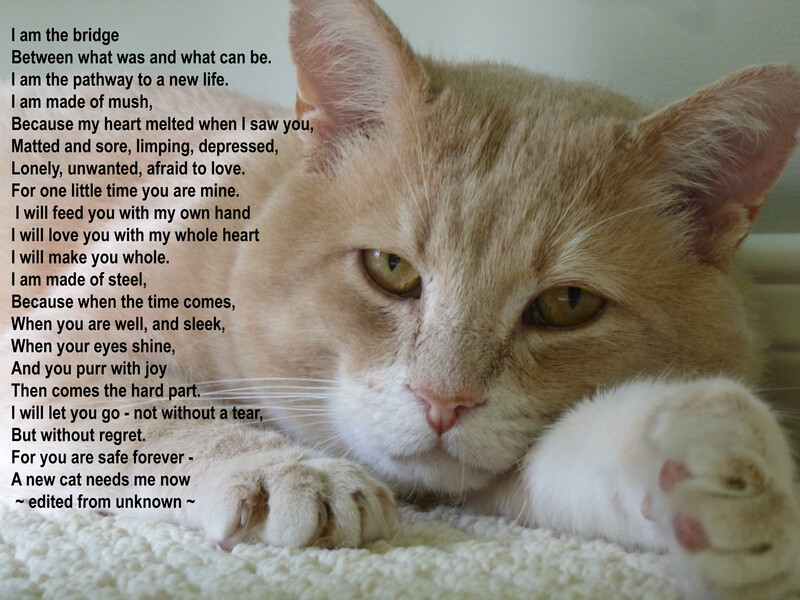 Oscar was abandoned or lost and was roaming the neighborhood looking for food, love, and shelter for 3 years. This was not my first attempt to trap him and it was not a great time for us to take in a kitty, but he needed help. No shelter, rescue or group I contacted would take him but I refused to let him become one of the forgotten ones. The winter was a brutal one – one he likely would not have survived when the temperatures stayed at -20C for days on end and the snow was feet deep. Here’s Oscar’s Petfinder Profile – I’m grateful to the kind rescue who sponsored Nuala’s litter for allowing me to post his profile through them. He was adopted on June 12th, 2014. I heard he’s doing fine and is loved and well cared for. Want to see Oscar’s Facebook Photo Album -or would you rather see a slide show? I would take this cat in a heartbeat if it were closer!!! He’s gorgeous!